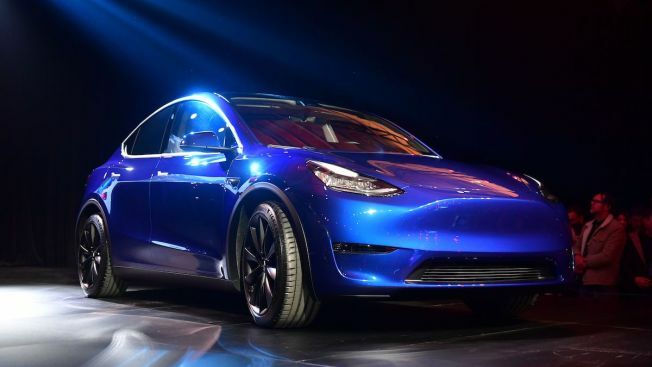 The new Tesla Model Y is seen at its unveiling in Hawthorne, California on March 14, 2019. CEO Elon Musk was to introduce the Model Y Thursday night at a gathering of customers, employees and media. Tesla got a huge boost toward ensuring its survival with the 2017 debut of its Model 3 sedan, but a sports utility vehicle could have even more mass appeal, given how popular SUVs have become in the U.S., Europe and Canada.